Cotacachi dentist Mariana Sarsosa does excellent work. Numerous guests visit her regularly and we hear back excellent reports. 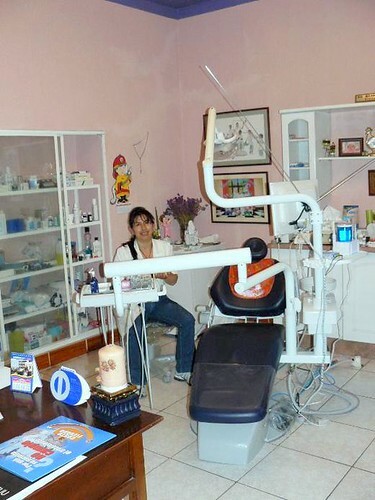 She is the an experienced Cotacachi dentist bear our hotel Meson de las Flores. Mariana studied biology and chemistry at the nearby University of Ibarra when she was 20 before moving on to the central university in Quito where she studied general orthodontics. She had to spend a year in a rural location before she could receive her professional qualification but she was lucky in as much as she spent 6 months in the nearby parish of San Roque and then 6 months in Cotacachi hospital. Immediately after in 1987 she opened her own surgery has been here since. Twenty one years service to the community. That makes her an experienced dentist in Cotacachi .. or anywhere. She is still involved in social action and now is trying to set up a shelter for women and children who have been abandoned, with the aim of also teaching the women a new skill so they can be independent. This Cotacachi dentist loves her profession and many of our guests love her. Her prices are very reasonable. Checkups are free. Cavities can be replaced at $7 for an amalgam filling, $15 for porcelain fillings. Cleaning is $20. 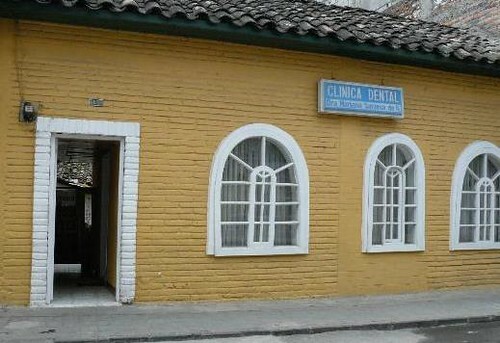 We have five dentists we refer our Ecuador Living subscribers to that Merri and I and our guests have used. Two are in Ibarra, one in Quito and two here in Cotacachi. Learn how to subscribe to Ecuador Livng here. You can enroll in this special course for $299. However if you sign up for three courses in any one month.